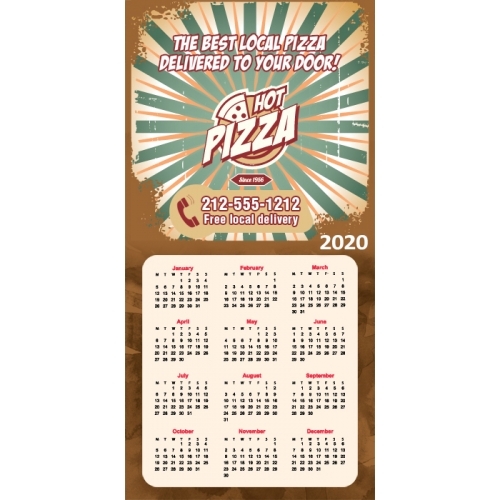 Keep your business phone ringing throughout the year with a promotional 3.5 x 7 square corners pizza calendar magnet. 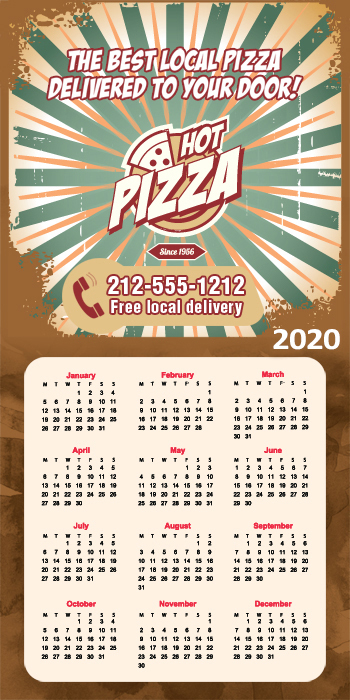 A personalized 3.5 x7 square corners pizza calendar magnet can be handed out as a welcome gift or as an acknowledgement token to new and old customers. A custom 3.5 x7 square corners pizza calendar magnet serves as a good reference token, and hunger appeaser at all times. Also, they are retained over refrigerator doors long after the year ends as a reference token as well as a refrigerator magnet. The best thing about this pizza calendar magnet is that it slowly grows over minds with its appetizing appeal. Product Size : 3.5 in. x 7 in.